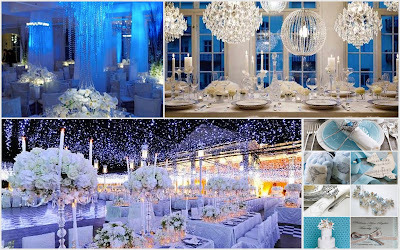 Below are some ideas which will hopefully give you the inspiration to create your perfect wedding day. 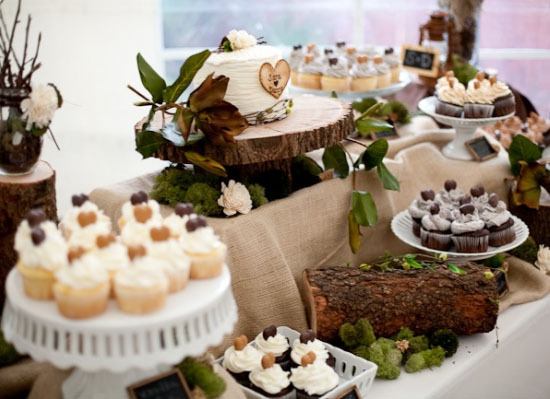 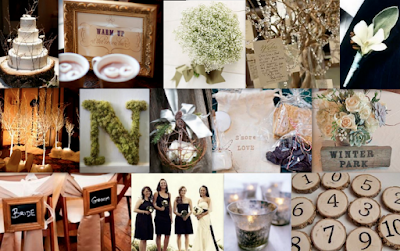 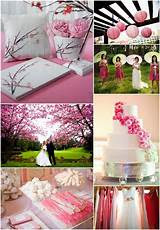 Remember to use the below ideas as a spring board to help you find your own wedding theme. 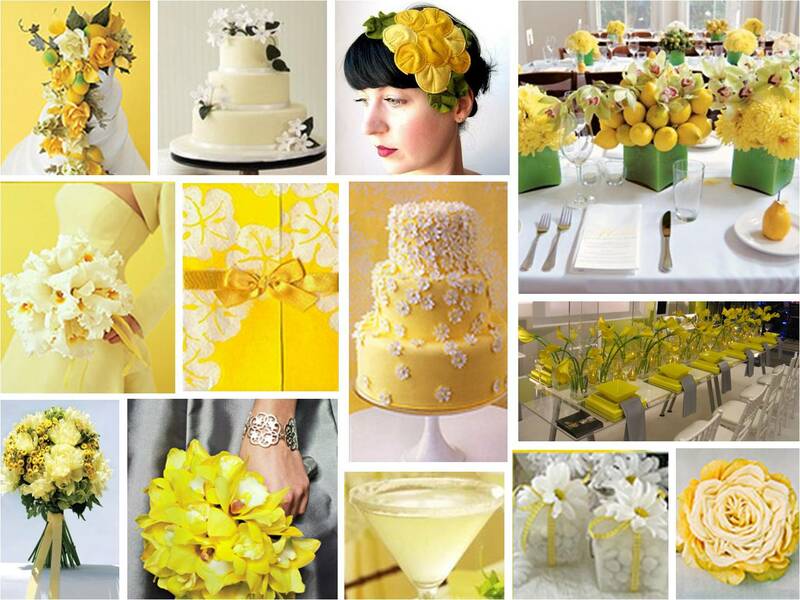 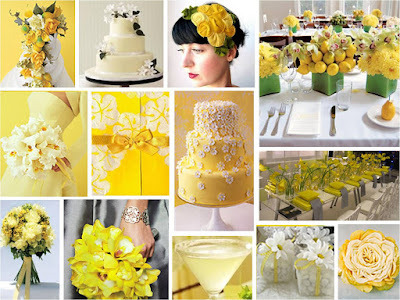 Spring - Think of fresh greens and yellows for your wedding theme. Keep things clean and contemporary by choosing wedding invitations with a lot of white space. 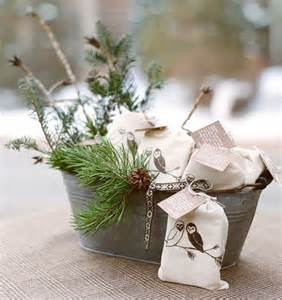 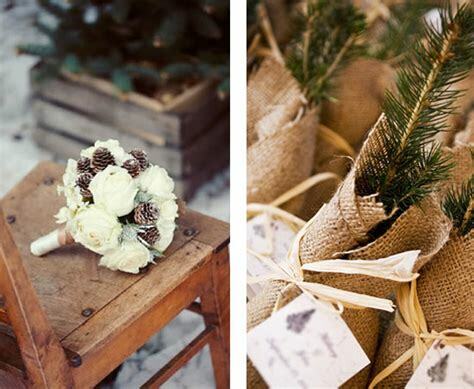 You could give seeds as wedding favours, these will allow guests to remember your special day long after it is over. Perhaps create custom seed packets with your names and the date of your wedding. Summer - Choose hot colours such as vibrant pinks and oranges. 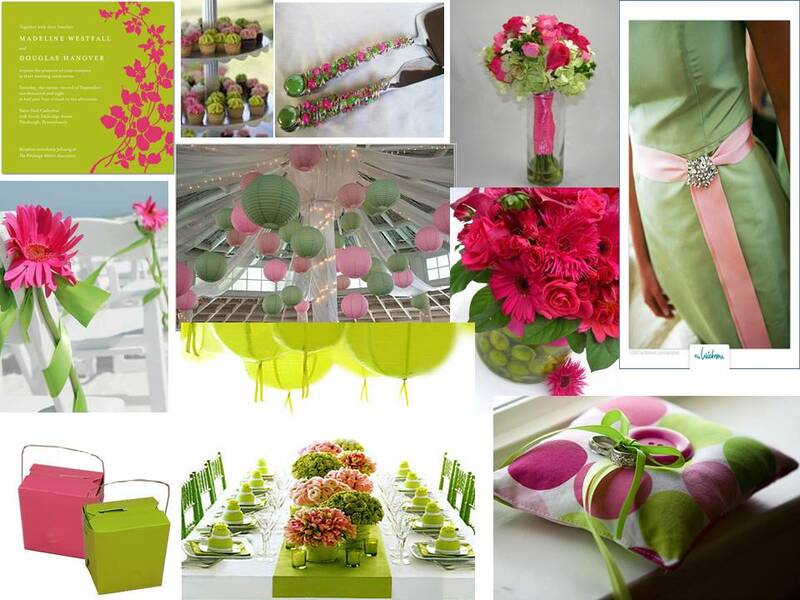 Mix and match clashing colours to create a colour feast for the eyes. 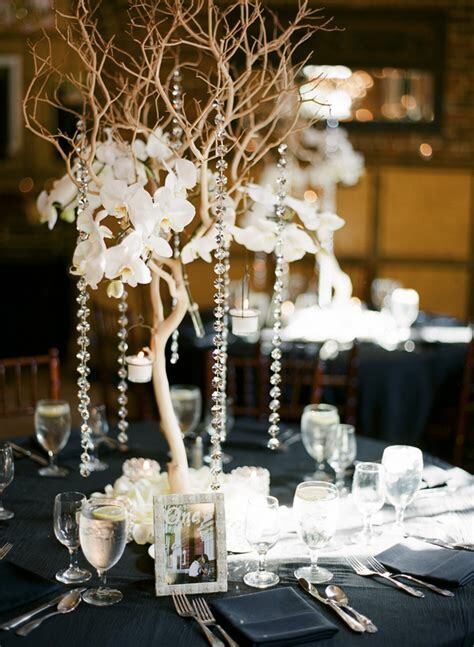 Think bold patterns and strong shapes. Gold complements pinks and oranges well whilst adding a touch of richness to the occasion. 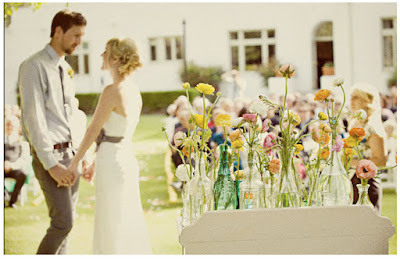 Maybe decorate your venue with pink, orange and yellow Gerberas. Tie a single flower to the back of each chair with an organza bow. 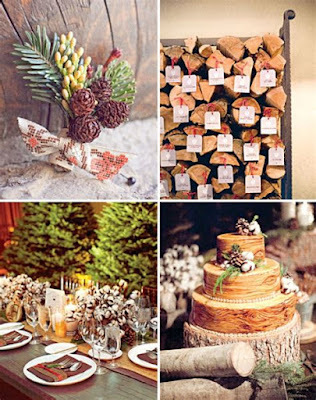 Autumn - Think burnt oranges, deep reds and chocolate browns. 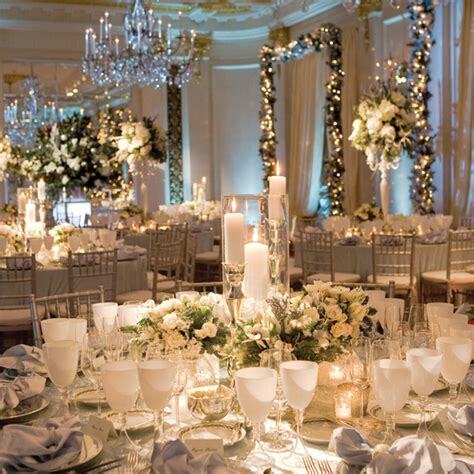 Again gold really compliments these colours. Maybe choose invites that use a leaf skeleton for decoration. 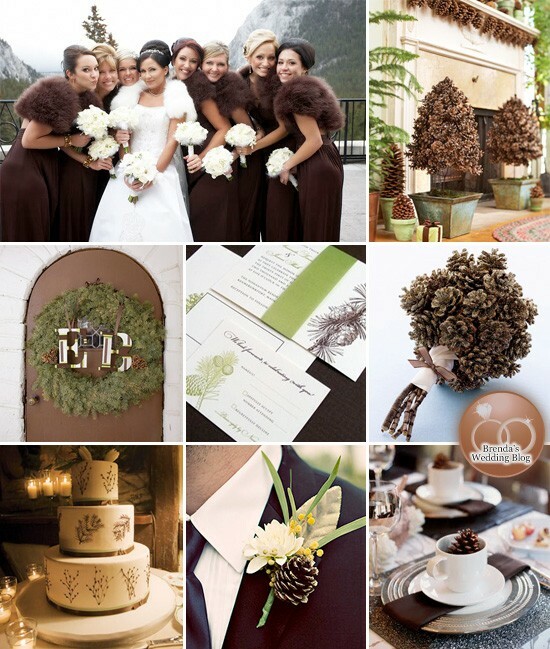 Autumn berries can be added to the bride's bouquet to keep with the theme. 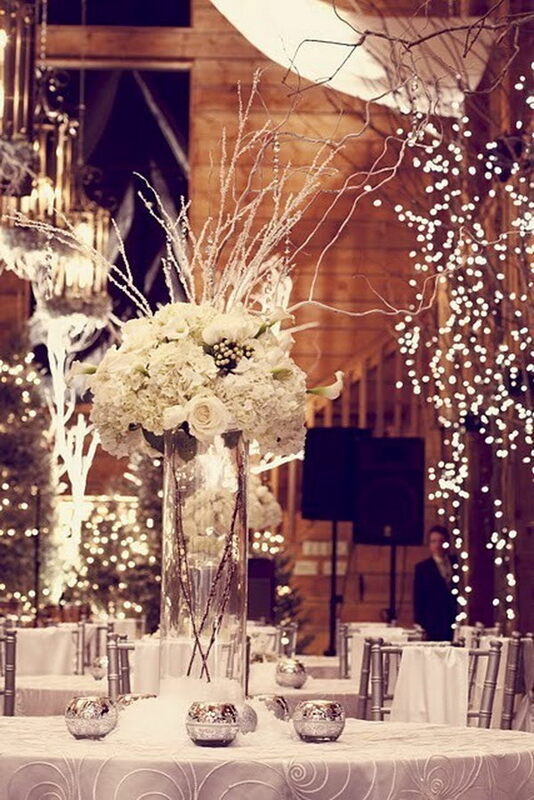 Rich red flowers can decorate the tables along with scented candles. 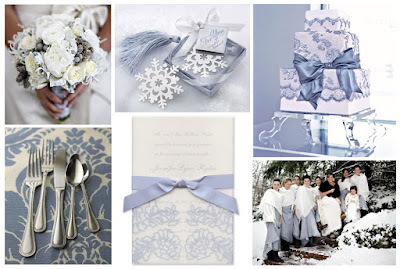 Winter - Pale blues, white and silver should be your choice here. 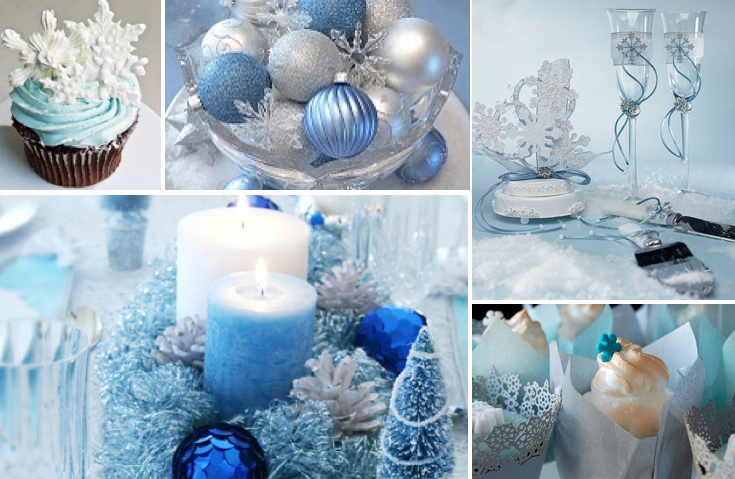 Think snowflakes, icicles and glitter. 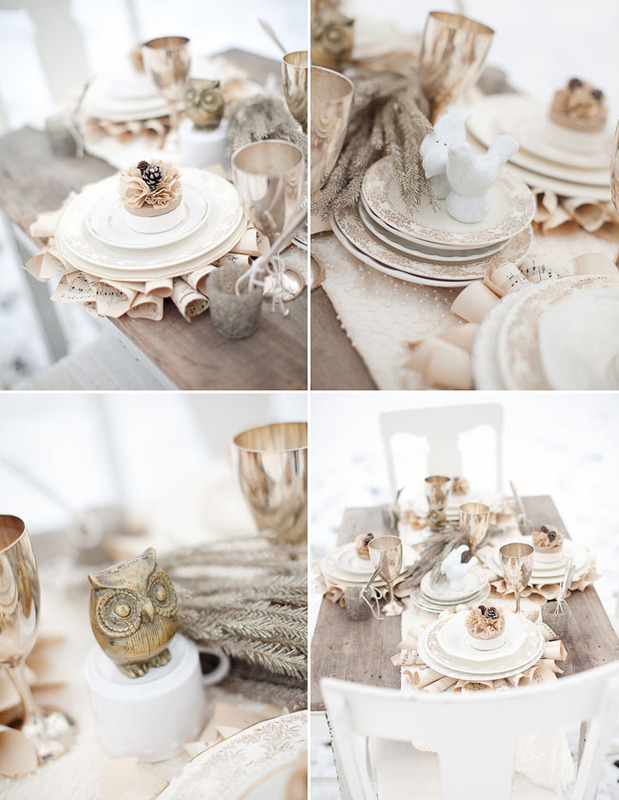 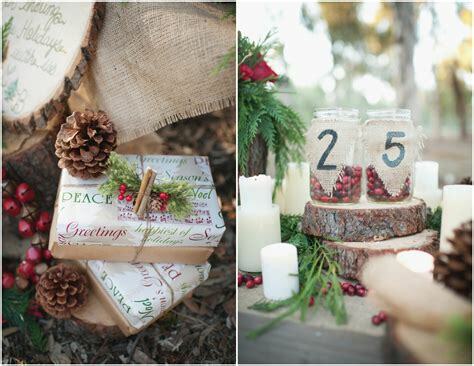 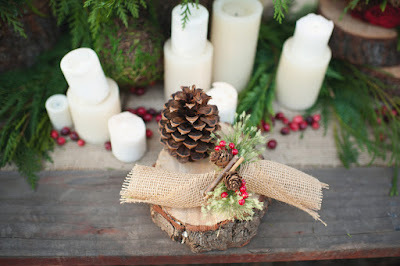 Decorate tables with scatter crystals or foil confetti. To add warmth to the occasion use simple white candles on each table. 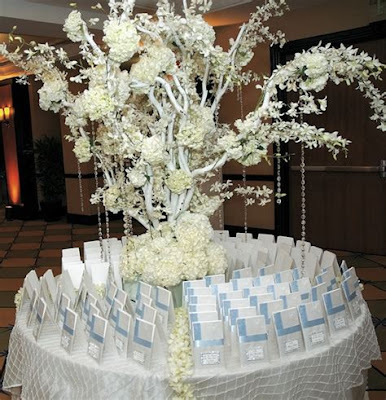 Use white name tags attached to serviettes with silver ribbon to help seat your guests. Wedding favours could be organza bags filled with silver or white sugar coated chocolates or almonds. A winter wedding has a special romance about it. 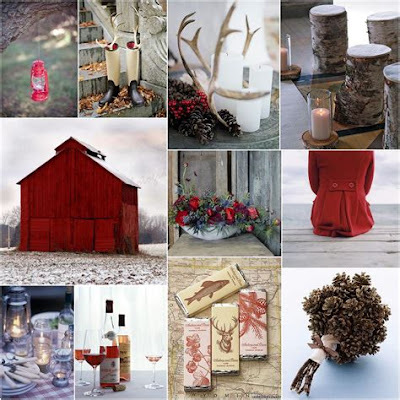 With the colder weather outside, everyone feels like snuggling together a little more. 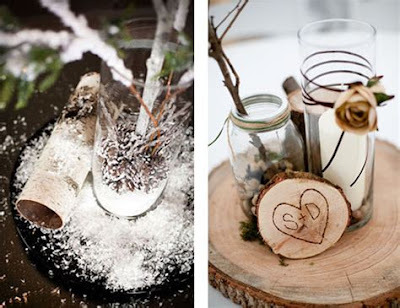 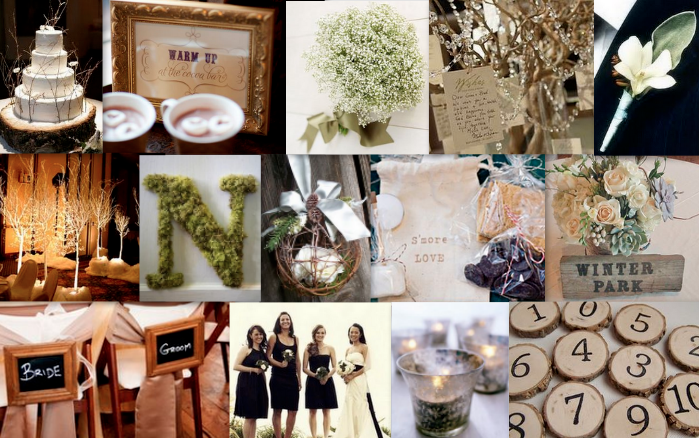 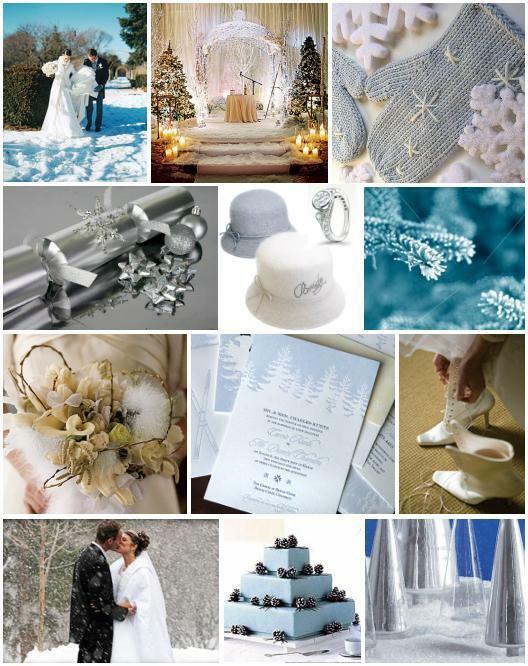 Hot cocoa, sleigh rides, cuddling in front of a fire; it is no wonder winter wedding themes are glamorous and inviting. The colors for a winter wedding are the most stunning. 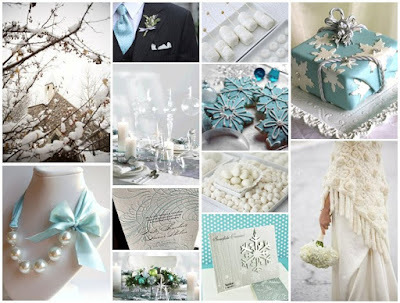 Not just limited to red and green, winter weddings work well with pure white, gold, purple, silver, ruby, midnight blue, sapphire, teal green, emerald, or ice blue. 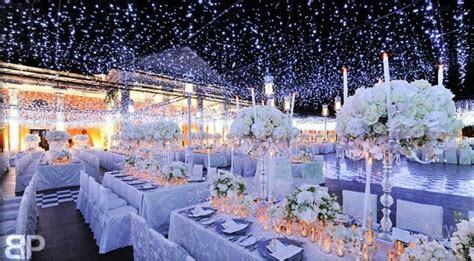 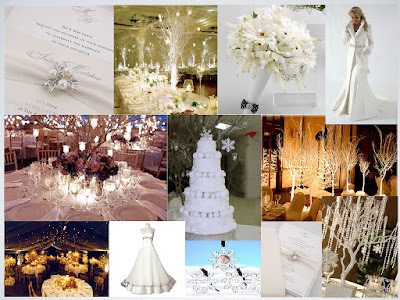 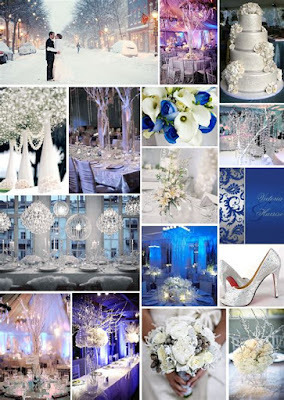 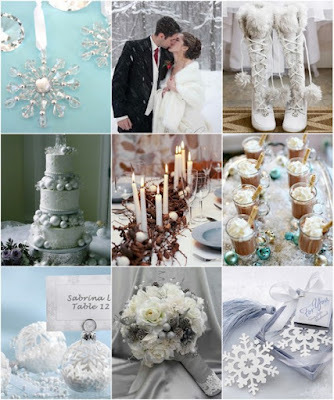 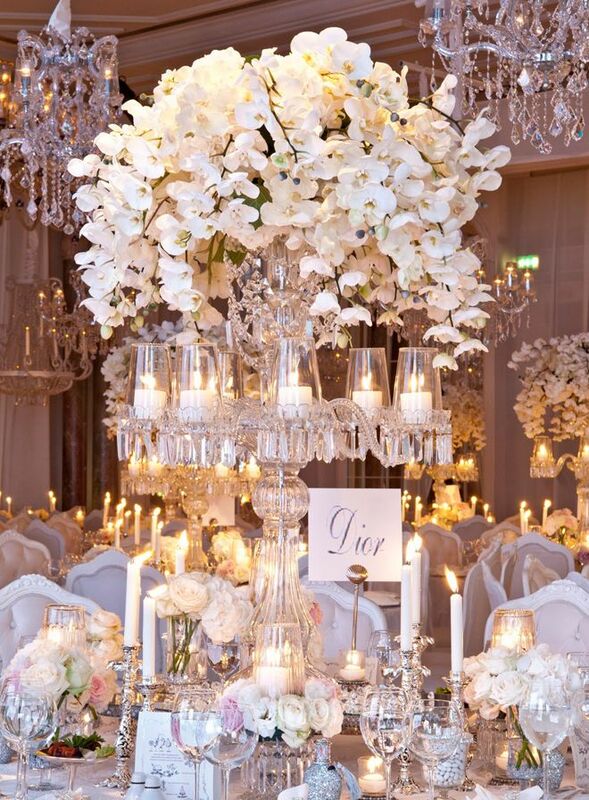 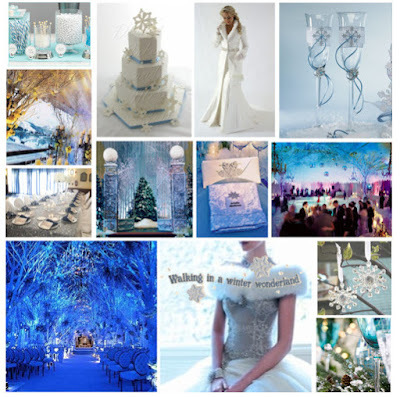 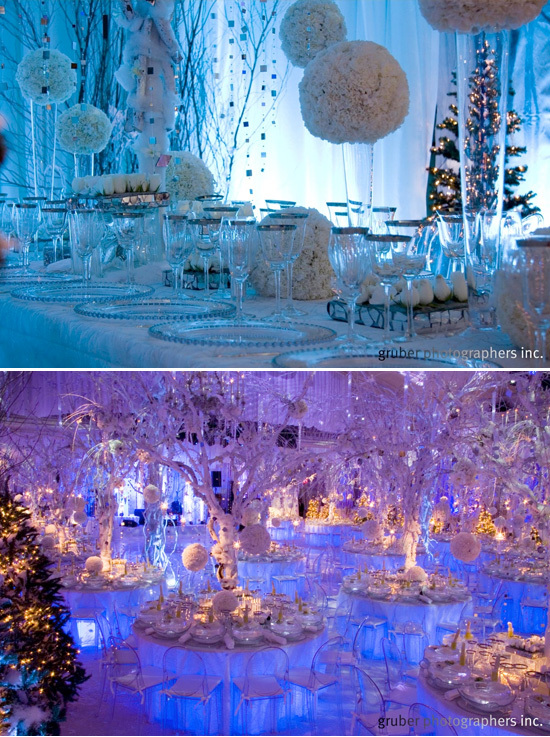 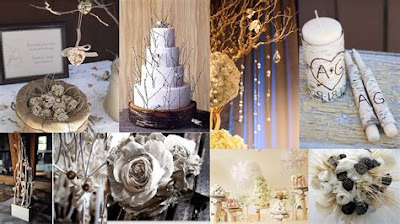 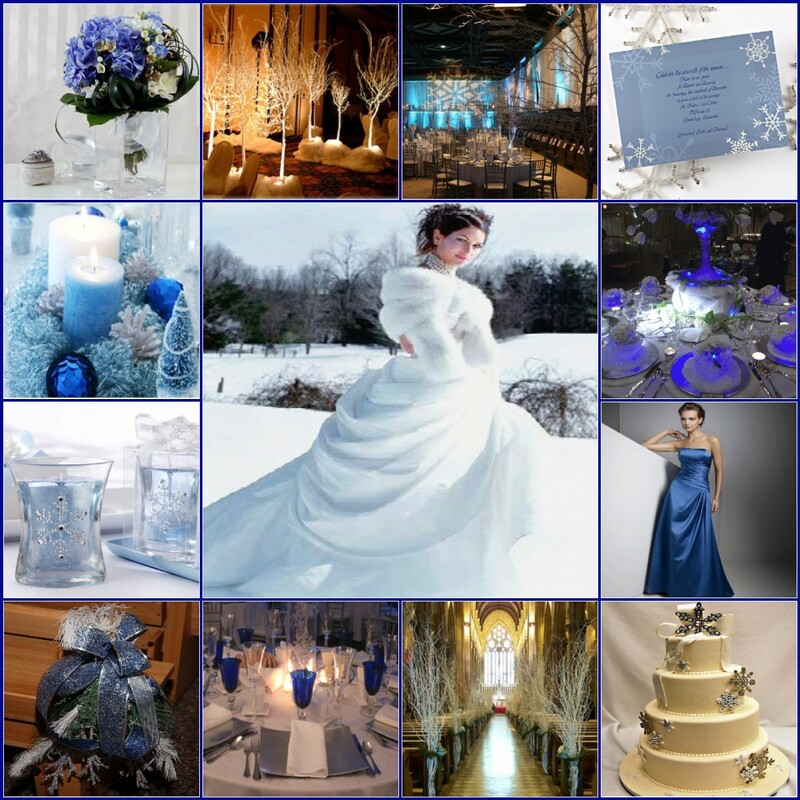 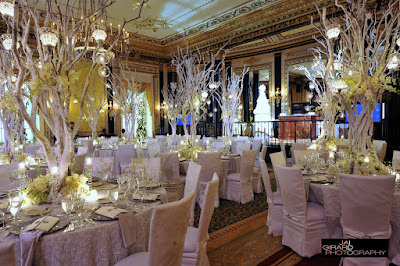 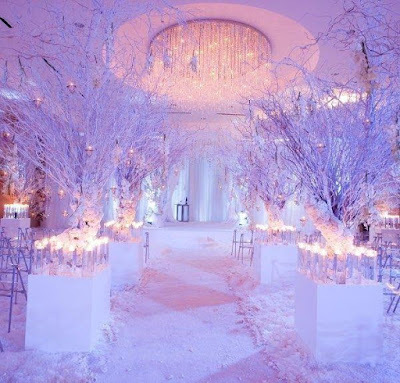 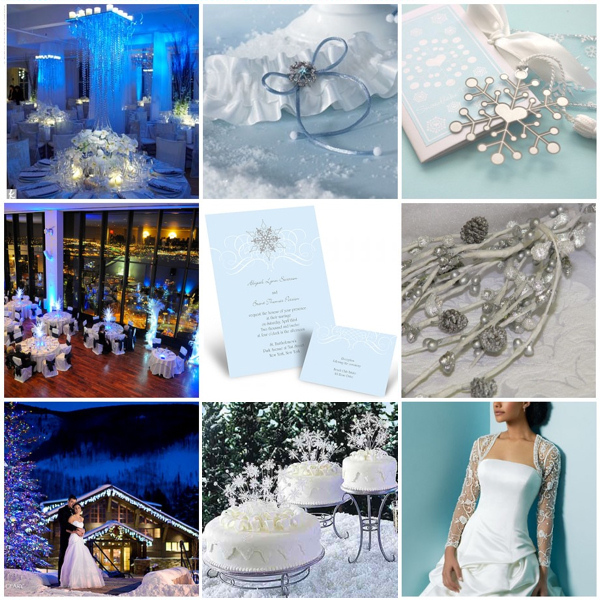 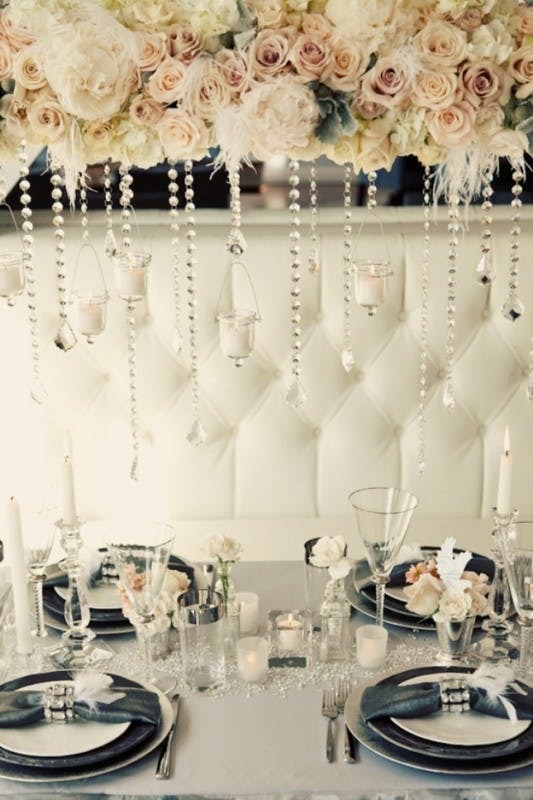 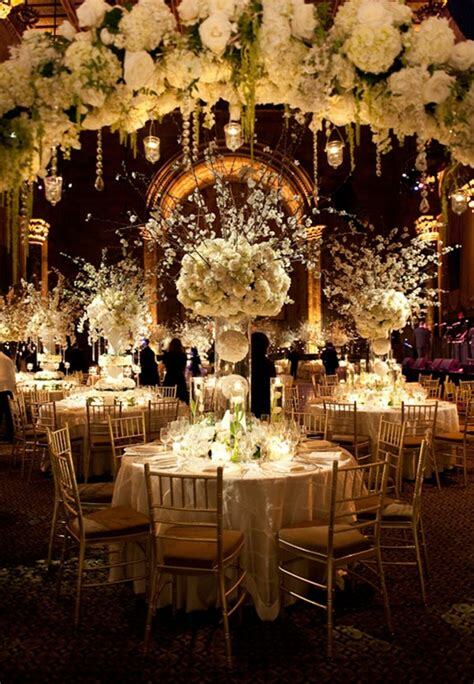 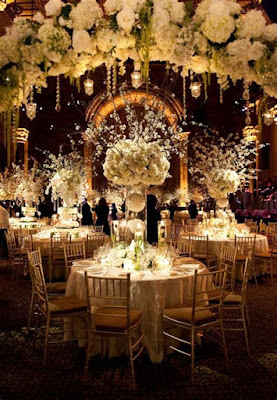 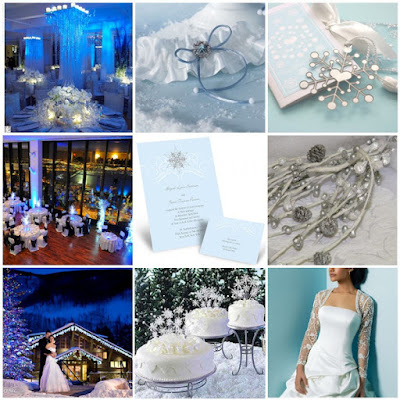 Sparkling crystals and delicate snowflakes can turn your wedding into a "magical wonderland". 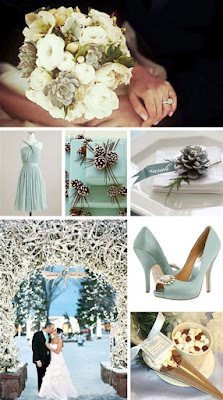 Fur is gorgeous for the bride or bridesmaids to wear. 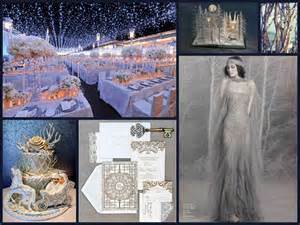 Consider a sleek silvery or pure white gown with a floor length hooded cape. Or perhaps a billowing chiffon "Cinderella-style" gown is more your taste, with a fur muff or hat added. A friend of mine got married in a classic white dress with red trim and a matching floor length red cape with a fur trimmed hood and muff. 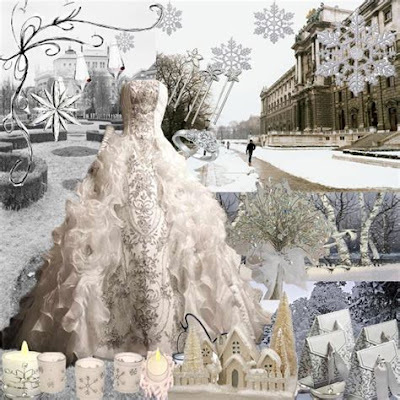 Even though it was several years ago people still remember and talk about that amazing gown. 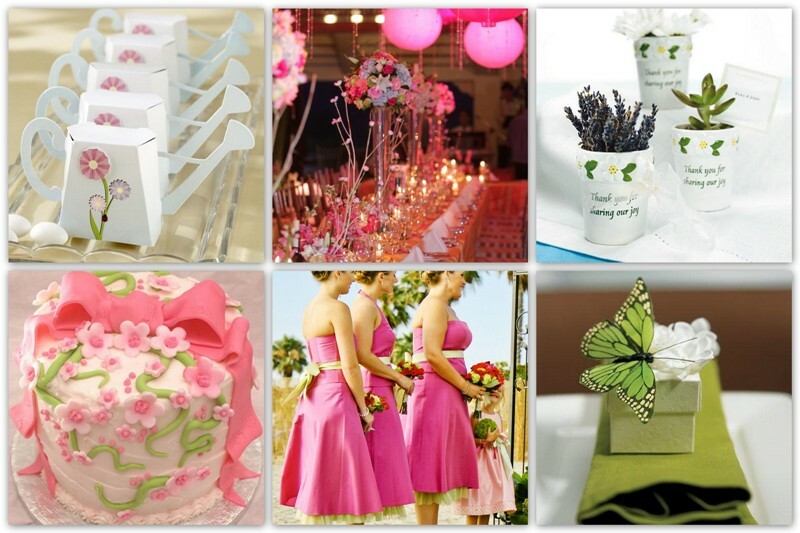 Long dresses for your bridesmaids are most appropriate. 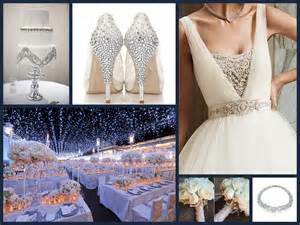 If the gowns you choose are sleeveless or short sleeved, they can be made more visually suited to the weather with elbow length gloves. If you wish your bridesmaids to have fur in their outfits, hats, muff, or capes can all be added. White roses tipped with one of your other wedding colors make a simple, but striking statement. 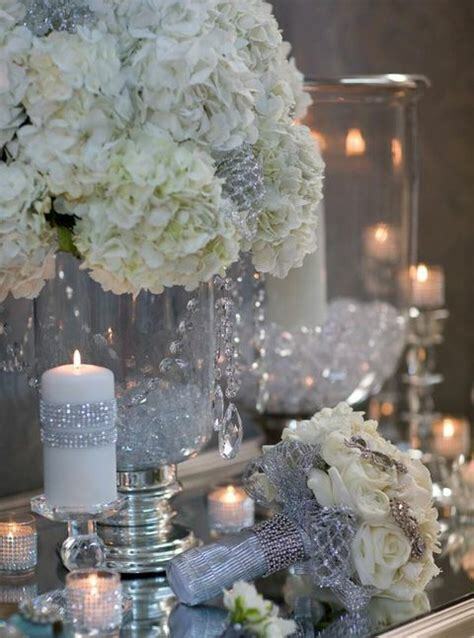 Don't forget you can also add ice crystals into your bouquet to make it sparkle even more. 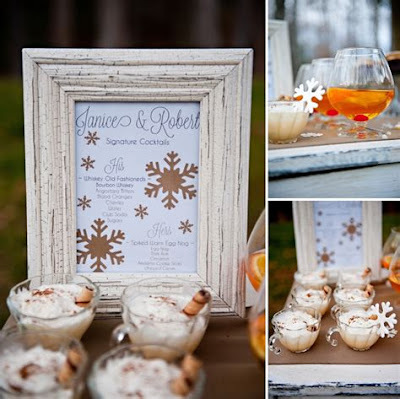 Glitter can make almost any invitation fit your wintery wonderland theme. Silver and blue are probably the most traditional colors for a cold weather wedding, but don't be afraid to mix it up and try other combinations, such as ruby red with gold lettering and glitter or emerald green with white lettering and clear glitter. 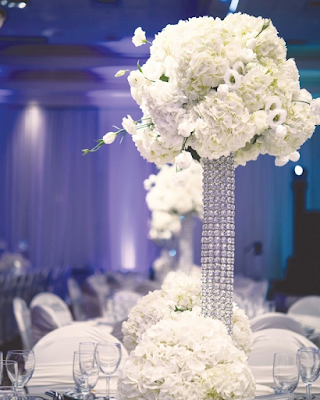 Decorations are where you will need to watch your budget the closest because it is easy to get carried away with all the dramatic ways you can turn your venue into a surprising wonderland. 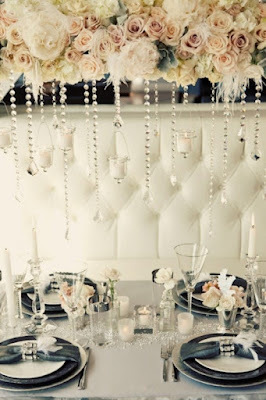 "Drape pure white or silver gossamer fabric on walls. 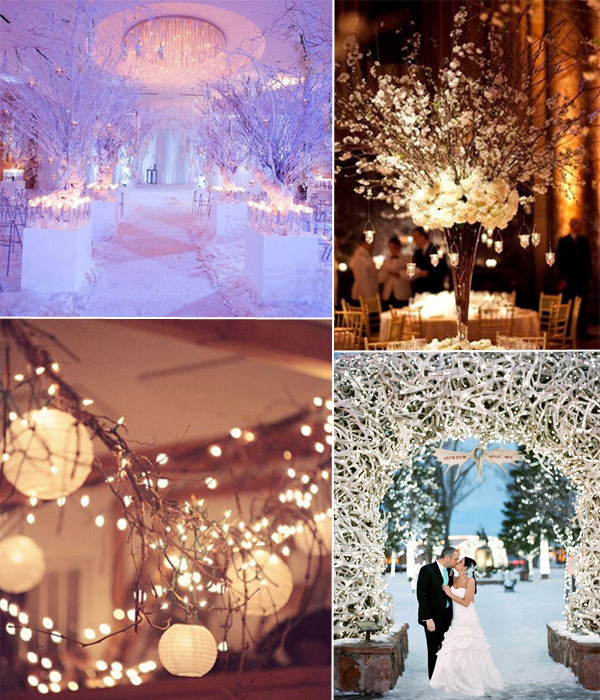 Hang twinkle lights behind the material to make it "sparkle and glitter"." 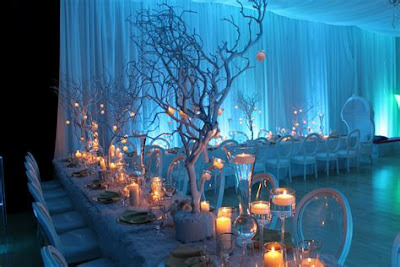 Be sure you choose "cool lights" to ensure there is not an unexpected fire. Midnight blue tulle suspended across the ceiling with lights inside it is another dazzling decoration. 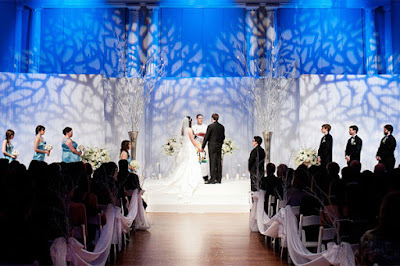 Foil or delicate cutout snowflakes dangling from the ceiling is a simple yet eye-catching way to simulate a snowfall. Another spectacular idea is bare branches from trees spray painted white or silver and then decorated with lights and icicle, white, or other matching colored ornaments. 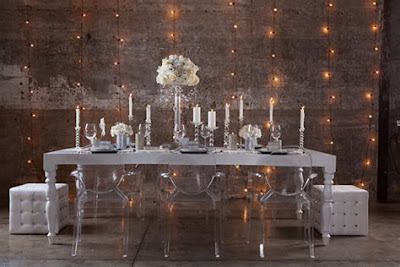 Mirrors and candles are perfect table decorations, promoting intimacy with the light and sparkle with the reflections. 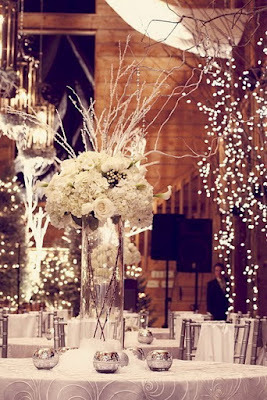 Glitter can enhance the snow theme on the tables as well.